Mad, bad and dangerous to know..
Lady Caroline Lamb, wife of Prime Minister, the 2nd Viscount Melbourne, took the risk when she became acquainted with Lord Byron. The Caroline Lamb who I know is certainly not dangerous to know but she is, as well as being a writer and producer, artistic director with the Dangerous to Know Theatre Company based in Manchester. I first met Caroline in her native Sedbergh and during our conversation it was evident that she had a great admiration and enthusiasm for everything Brontë. I met Caroline again recently in the convivial surroundings of Cobbles and Clay in Haworth. 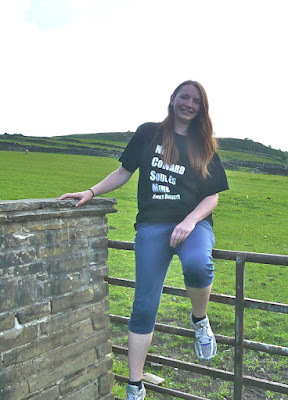 Wearing a top with Emily Brontë’s famous words emblazoned on the front, and being on the last leg of a one hundred and thirty mile walk, Caroline certainly is not in possession, either, of a cowardly soul! 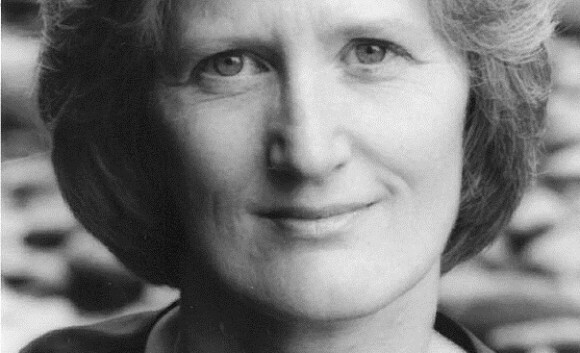 She has written a play - The Dissolution of Percy - about the last years of Branwell Brontë - which deals with his failed love affair and it is a drama about double standards and gender politics. Percy was the family name of the Earl of Northangerland who featured in the Brontë children’s Angrian stories. Caroline, on her walk, has followed in the steps of Branwell, starting in Broughton in Furness where he was for a very short time, in 1840, tutor in the Poslethwaite household. Her walk led her to Kendal from where Branwell may have written a letter to his friend John Brown and then on to Cowan Bridge where four of his sisters went to school. From there it was on to Gargrave, beside the banks of the River Aire, where Frances Mary Currer had lived at Eshton Hall and also Robert Storey who was known as the ‘Craven Poet’. Storey was published in the Yorkshire newspapers at the same time as Branwell Brontë was having success in that direction. Caroline had a long trek then to Halifax and then on to Leeds before arriving in Haworth via Thornton. At every venue she had given readings from the Brontës’ poetry and prose and also items from individuals who have been inspired by them- including a piece of writing which fires the imagination with how a second novel by Emily may have begun. The evening in Haworth ended with three Brontë poems- the first was Life by Charlotte which perhaps shows that the spirit can bounce back from adversity. The second poem was Farewell written by Anne after the death of the well regarded curate at Haworth, William Weightman. No Brontë readings would be complete without hearing Emily’s great poem No Coward Soul is Mine and this is how a very pleasant evening ended. The appreciative audience wished Caroline, who will take the part of Emily Brontë, all the very best as the play gets nearer to its first performance. Oft a little morning rain foretells a pleasant day. I hope so. The journey to Manchester was a little hot and dusty- but otherwise pleasant enough - Charlotte Bronte July 1851. Our journey on the Brontë Society’s excursion to Manchester was certainly pleasant. It took us through some beautiful Lancashire countryside with the brooding Pendle Hill lurking in the background and soon our driver was skilfully negotiating the busy traffic of Manchester and we arrived at our destination- Plymouth Grove. 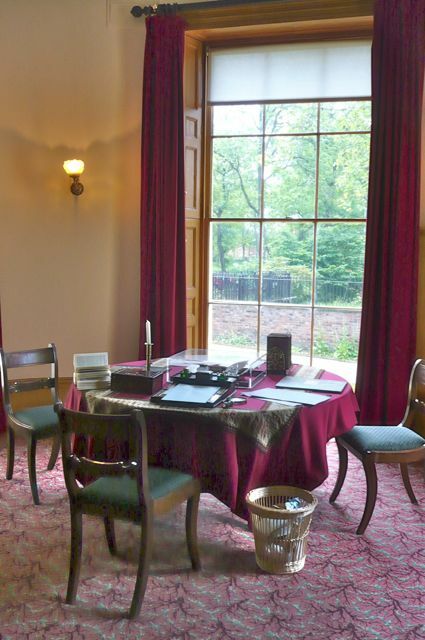 I had visited the home of Charlotte’s friend, Elizabeth Gaskell, a few years ago and as we disembarked, and made our way towards the front door, I did wonder if on that previous occasion I may have imbibed too much in the White Lion the night before as in my memory the house had been a bright pink. All was revealed as our very knowledgeable and charming guides gave us a tour of the house and explained how the house had had a complete refurbishment. I was relieved to hear that, when used as student accommodation for the university, it had indeed been painted pink! I feel it is not surprising that Charlotte Brontë and Elizabeth Gaskell became good friends because listening to our guide I realised that there are quite a few similarities between them. Elizabeth Gaskell (Stevenson) was only a baby when her mother died and of course we know that Charlotte had very little recollection of her own mother. 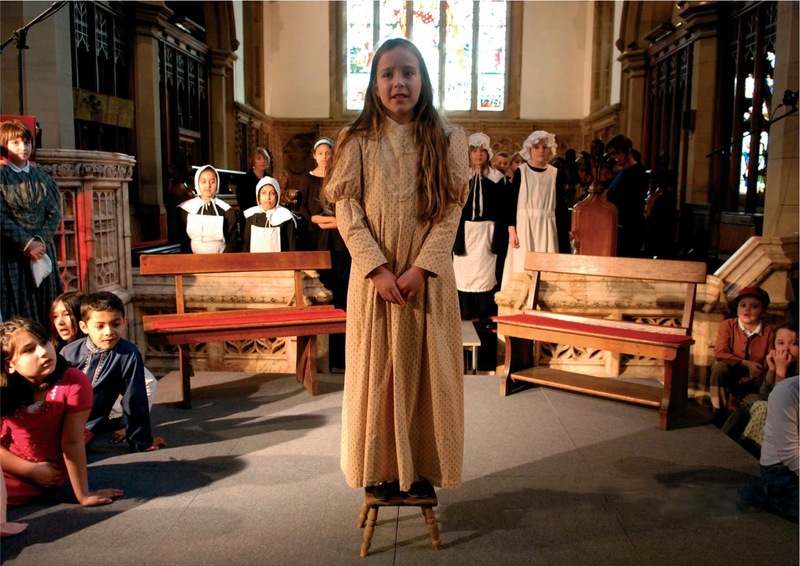 Both were taken care of by their mothers’ sisters and both were sent away to boarding schools run by maiden ladies. In Elizabeth’s case the Miss Byerleys in Warwickshire, for Charlotte the Woollers at Roe Head. Elizabeth would have empathised with Charlotte as she too had suffered the loss of loved ones in quick succession. Her brother disappeared on a sea voyage and then within a very short time her father died. 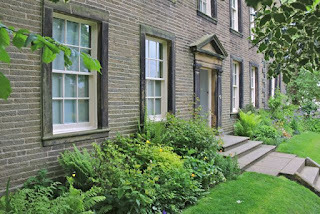 The Parsonage at Haworth was home to many animals wild and domestic - the famous Keeper and Flossy, the hawk Nero, a little black cat and two tame geese. At Plymouth Grove Mrs Gaskell was very keen to recreate a little of the gentle town of Knutsford, where she spent her formative years, and in Manchester she created gardens for fresh produce and keptchickens. Plymouth Grove is very much set out like the Parsonage at Haworth and in the rooms we saw quite a few original items and things contemporary to the Gaskell’s time there. Just as at the Parsonage scrapings had been taken from walls, scraps of wallpaper discovered and then these papers were specially recreated by experts and now line the walls. I mounted into the window-seat: gathering up my feet, I sat cross-legged, like a Turk; and, having drawn the red moreen curtain nearly close, I was shrined in double retirement - Jane Eyre. Chapter 1. Maybe the bashful Charlotte took a lead from her heroine for, when on a visit to Plymouth Grove and unable to face a caller, she took refuge behind the curtains in the drawing room and did not reappear until they had left. In one of the rooms we were shown a facsimile of a manuscript of Wives and Daughters. We saw the last word Mrs Gaskell ever wrote - ‘shawl’ - for she died before the novel was finished. Here again is another Brontë connection for the work was completed by Frederick Greenwood. Greenwood was at one time joint editor of the Cornhill Magazine with G.H.Lewes, whom Charlotte met, and then he went on to be sole editor for four years. He was the first editor of the evening newspaper The Pall Mall Gazette which had been founded by George Murray Smith, Charlotte’s publisher and friend. The house boasts a delightful tea room and we were offered tea or coffee and delicious cakes. We were told that when Charlotte was in residence there she asked, one evening, to be served only black tea as green tea made her very restless. Mrs Gaskell was in somewhat of a dilemma as the only tea they had was a mixture of both. She did not inform Charlotte of this but when asked next morning if she had slept well Charlotte answered very much in the affirmative. After partaking of this mouth- watering repast it was time to move on from this house which had been restored so well and sensitively- with not a touch of pink in sight! I am not familiar with Manchester so as our coach took us back towards the city centre I did wonder if we would go anywhere near Boundary Street West which is about a mile from Plymouth Grove. In the District Ward of Hulme Boundary Street was formerly known as Mount Pleasant and this is where Charlotte and Patrick stayed when he was recovering from his cataract operation. We had a very brief time in the city centre and then went on to Whitworth Art Gallery. This gallery was opened in 1889- a gallery within Whitworth Park, a delightful setting away from the hustle and bustle of the busy city. There were many paintings to gaze at and admire - from the Brontës' contemporary J.M. W Turner and works by John Ruskin and Holman Hunt to the more modern portraits by Francis Bacon and David Hockney. We passed through galleries resplendent with the photography of Johnnie Shand Kydd and a wallpaper installation by Sarah Lucas. It was interesting to read that Cornelia Parker had featured at the Whitworth : Brontë Society members may recall that this Turner prize nominated artist had an exhibition at the Parsonage in 2006. It took a fascinating, detailed, look at Brontë items - blood on Anne’s handkerchief, blots on blotting paper, locks of hair. It was time to re-board the coach and we were soon going from Red to White Rose country. Passing through the little village of Cowling I glanced to the left and saw Stone Gappe House basking in the early evening sunlight. During her brief sojourn there perhaps the unhappy Charlotte had looked out of one of the windows longing to be over the moors in Haworth. We were happy to be heading back there but perhaps a little sad that this would herald the end of a wonderful day out, and we would soon be parting from good friends. The Brontë weekend was over for another year. 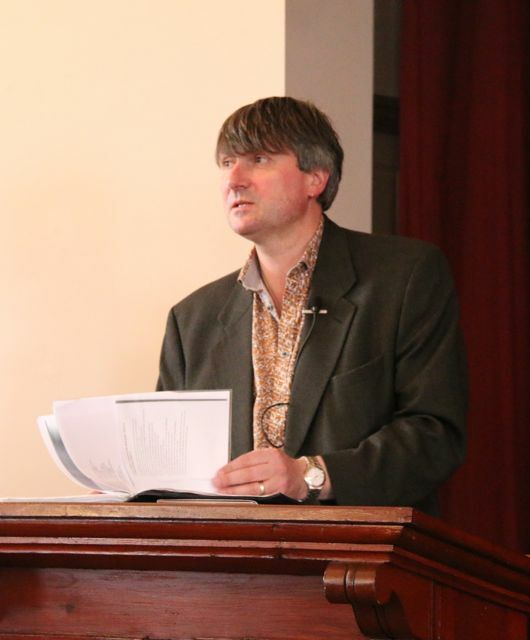 Poetry today has many forms and styles, not always connected with the generation of the practitioner, though Simon Armitage is often described in words and sentiments similar to those employed by Melvyn Bragg in his New Statesman review of the recently-published Paper Aeroplane: Selected Poems 1989 - 2014 - "...he has established himself as the poet of his generation". Although most of us on Saturday evening in the West Lane Baptist Centre, Haworth's best and only intimate theatre space, could have been said to be of another generation, possibly that of Sir Geoffrey Hill at the other end of some kind of poetry spectrum, Armitage charmed, entertained and moved us with enormous success. 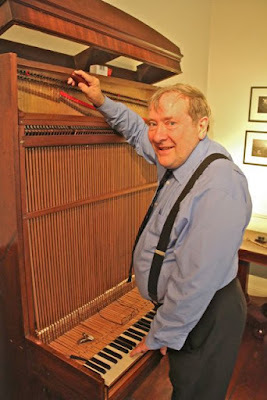 He was accessible, utterly intelligible and above all funny. He must be the poet of our generation as well. He introduced his new memoir Walking Away, revisited poems written a couple of decades ago, spoke about the differences between walking the Pennine Way, where mists can be a menace and where you need to carry a good map, and the coastal walk from Minehead to the tip of Cornwall, where you do not get lost unless you turn sharply to the right, about the town of Marsden, where he was brought up, his father, and about inspiration. We got it. We laughed. We loved him. 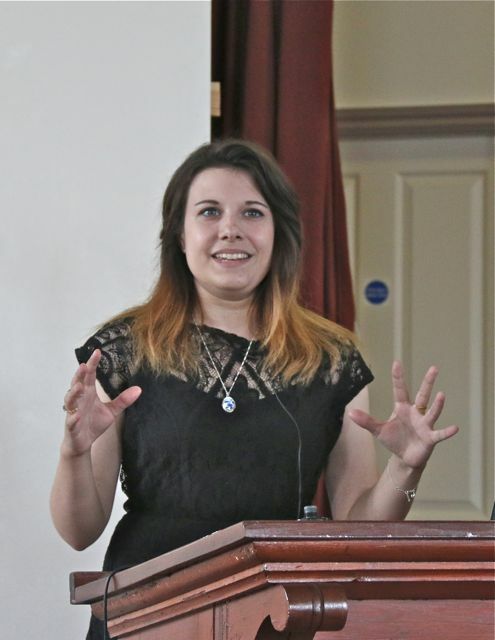 Current chair of the Brontë Society Alexandra Lesley sang a Lied (in English) and read selections from the work of Emily Brontë, and extracts from the music of Beethoven were played with great panache on the Parsonage piano by Isabelle Oehmichen on Friday 5 June. This was followed by a fascinating talk on the potential influence of Beethoven on Emily's literary creativity by John Hennessy. Is there anything written on this topic in German? Gibt es etwas über dieses Thema in Deutsch geschrieben? Two sonatas in particular - the Pathétique and the Appassionata - can provide parallels in terms of form and content to passages in Wuthering Heights. The rare cabinet piano in the Parsonage, which Emily would have played, was tuned before the recital by the man who restored it - the illustrious Ken Forrest. The aftermath of the Napoleonic wars seems to have been much more drawn-out and traumatic than a glance at standard histories might convey: the young Brontës were developing when many returned soldiers were still at a loose end, on reduced pay - "it was no easy ride for them back in Yorkshire", we were told. French soldiers too - thousands of prisoners of war were turned out of their prisons, to wander about the country in a state of confusion, picking up small jobs where they could. And did Charlotte and Emily ever get to see that famous battlefield at Waterloo, not far from Brussels - possible, probable... highly likely? Certainly, Charlotte was given a fragment of Napoleon's coffin - it's in the exhibition. And the children and their Wellington-fixated father had plenty of access to military news and reminiscences in newspapers and magazines. 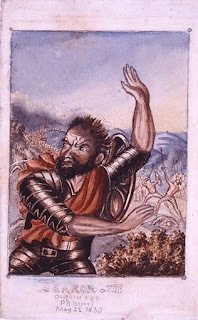 It was not just the 1829 gift of toy soldiers to Branwell: the children were surrounded by real, close-to-home conflicts and memories of recent atrocities - the Luddites, the deadly attack on civilians by sabre-equipped yeomanry at Peterloo. Their juvenile fantasies were well-fed. "The violent, masculine landscapes of Wuthering Heights and Jane Eyre can be traced back to the Brontës' early engagement with militarism and warfare," we were told. A strong case was made. 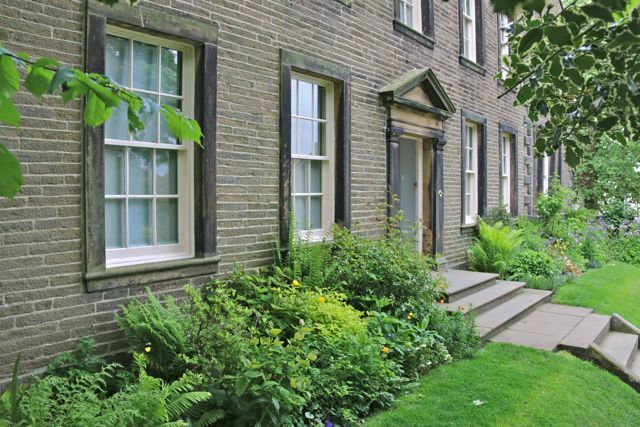 Warmth and sunshine for the annual weekend in Haworth - a chance for old friends from all over the world to meet, for connections to be re-established and for decisions to be made. This was the Parsonage yesterday - everything in the garden beginning to bud and bloom.